Shower Installation, Conover, NC | Minyard Plumbing, Inc. Turning a shower installation project over to a trained and experienced professional in Conover, NC minimizes the risk that something will go wrong. Shower Installation in Conover – When you are thinking about renovating any part of your home, consider that you will get the best bang for your buck when you improve the kitchen and/or bathrooms. The bathrooms provide space for relaxation and pampering, so you can add new components that will reflect this. For example, if you have a traditional bathtub/shower combo, you might want to upgrade it by adding a massaging showerhead or putting in additional plumbing to install a second showerhead or soothing body jets. 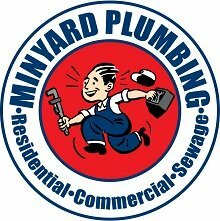 If you are considering shower installation, give us a call at Minyard Plumbing. Turning a shower installation project over to a trained and experienced professional minimizes the risk that something will go wrong, such as a broken pipe or leak that causes damage to your home. Our team always follows local building codes and will make sure the job is done right, leaving you to enjoy your new shower as soon as possible. 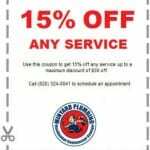 Our owner has been involved in the plumbing industry for over 35 years and took over the family business for his father. His family continues to work in the office, providing shower installation and other plumbing services accompanied by excellent customer service. We provide a variety of other services on top of shower installation, such as toilet installation, faucet repair and replacement, water heater repair and replacement, clogged drain repair, pipe repair and replacement, sump pump repair and installation, and much more. Our family-owned business takes pride in offering excellent service to each customer. We are residents of the Conover, North Carolina area and are members of the community just like you. At Minyard Plumbing, Inc., we offer high-quality shower installation services in Conover, Hickory, Bethlehem, Lincolnton, Morganton, Newton, St. Stephens, and Taylorsville, North Carolina.